I fell in love with Mark Rothko in the cosy confines of a basement art class in college, fall 2015. My introduction to him–and to the art world in general–was belated. 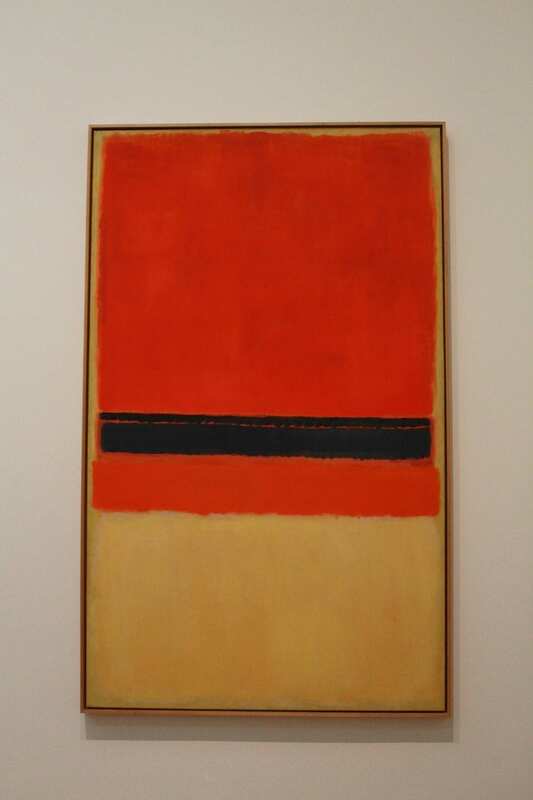 A quick Google search now confirms that during the summer before that semester, I must have passed Rothko’s Orange, Brown somewhere in the Detroit Institute of Art. But back then I had not yet known who Rothko was. I could barely appreciate Matisse, Van Gogh, or Warhol. But in that basement art class, staring at Rothko’s late paintings on the projector screen in the dark, feelings rose inside me that I had never experienced before. I felt as if his paintings were attached to my soul by thread, and I, the marionette, swooned left and right by the warm radiance of his Orange, Red, Yellow or the unsettling ambiguity of his No. 61. It was almost musical; the colours hummed and corresponded to beats that shook my insides. I saw landscapes, the horizon between his blocks of orange and blue. Staring at his work became a religious experience. Of course, his artwork was the centre of countless other spiritual experiences. 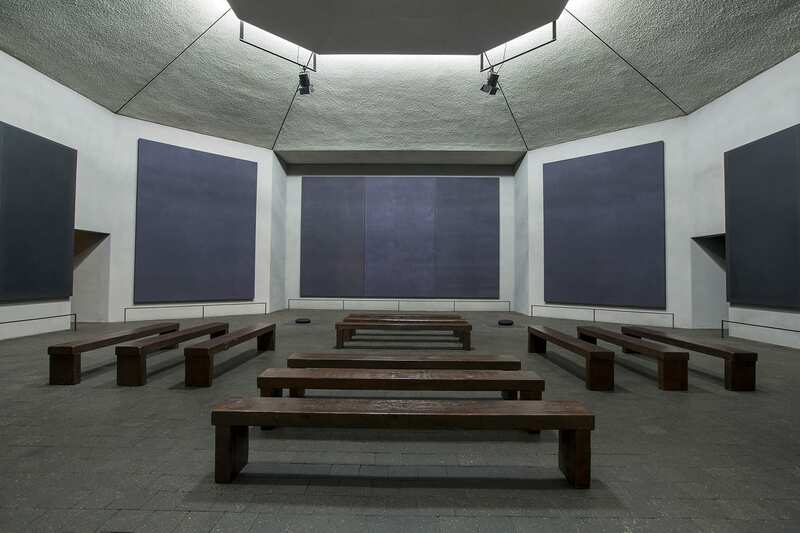 One year after Rothko’s suicide in 1970, fourteen monochromatic paintings of his were hung in an octagonal chapel in Houston, Texas. The art was commissioned by founders John and Dominique De Ménil, the architecture designed by Philip Johnson, Howard Barnstone, and Eugene Aubry, and the space created for those belonging to any and all religions (or none at all). These paintings, upon first impression, look like black rectangles ranging in size from nine to twelve feet. The more one looks, the more complexity they show. “The basic color is achieved by a mixture of alizarin crimson and black,” wrote Dominique De Ménil, “with small additions of raw umber, sienna and sometimes a tinge of blue pigments. It varies from a deep maroon to a slightly more purplish and lighter maroon.” A skylight washes these towering canvases in different degrees of illumination throughout the day, making their colours change. There is something ominous about these pieces. But positioned as they are, inside that non denominational chapel, they also echo serenity. This is the legacy Rothko left behind him, I always told myself, a marriage between that which disturbs us and that which comforts us. It took me two years to truly understand the extent of this. On a warm Sunday in London last month, I entered an overwhelmingly large brown building from the glass door entrance under the big looming words: WELCOME TO TATE MODERN. I took a deep breath as I stepped inside. The security man searched our bags and wished us an enjoyable visit. For the next two hours (barely enough time!) I roamed the halls of the museum, trying to reconstruct the timeline I built in my art history classes, seeing if I still remembered the names, the colours, the movements. 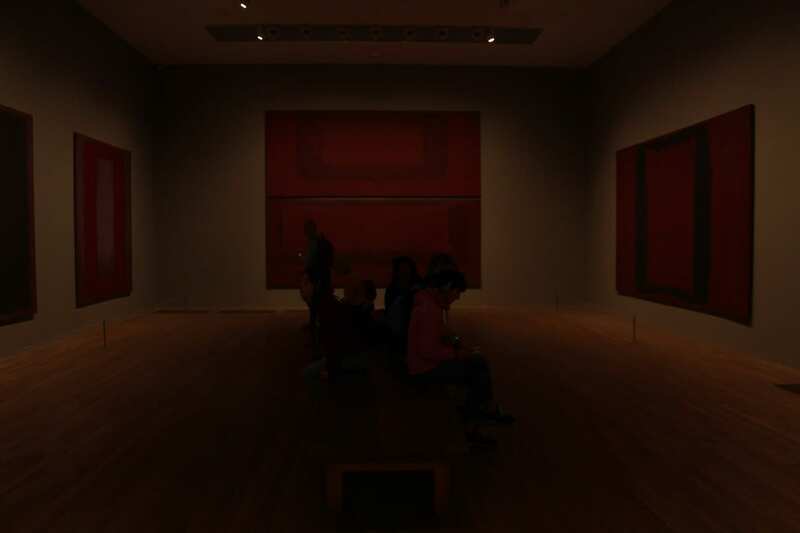 I didn’t know if they had any Rothko paintings. I had a sense they did, but I did not want to discover before going there. I wanted to come across Rothko through the magic of spontaneity. I wanted him to catch me by surprise. And catch me by surprise he did. In one of the rooms were only two paintings: Claude Monet’s Water-Lilies and a Rothko piece: Untitled (Red, Black, Orange & Pink On Yellow), dated 1945. It towered over me, much larger and more captivating than I had ever anticipated. This painting was an acclimation piece, the segue from the lovely room with the water lilies to a much darker one that did not lead anywhere else…perhaps the most suffocating room inside the whole museum. This is where nine of Rothko’s Seagram murals hang. Sometime in the late 1950s, Rothko was commissioned to paint murals for the Four Seasons restaurant, a swanky spot in the Seagram Building in New York. According to John Fischer, an editor of Harper’s Magazine, Rothko once said he wanted to make people who dine at the restaurant “feel that they are trapped in a room where all the doors and windows are bricked up.” That is why he drew inspiration from Michelangelo’s Laurentian Library in Florence, the walls of which truly do evoke a sense of being trapped. He eventually produced thirty of these murals. But after a meal at the restaurant with his wife, Mell, Rothko broke the deal, returning the money he had been paid and refusing for his paintings to be hung somewhere he found so off-putting. “Anybody who will eat that kind of food for those kind of prices will never look at a painting of mine,” he said. And so his murals scattered, nine of them arriving in London in 1970 on the morning of their creator’s death. And indeed, when I walked into that dim-lit room (a detail he had specifically requested) I felt very much trapped. I had always imagined myself strolling into the chapel in Texas and exiting only once I’ve completed catharsis. I would walk out, feeling light as a feather, the deep abyss of Rothko’s intricate art signifying not darkness but the immense possibility of life. Instead, I walked into that dark room at Tate and felt his paintings ensnare me. Look, what I’m trying to do with my works of art is… you’ve got sadness in you, I’ve got sadness in me, and my works of art are places where the two sadnesses can meet and therefore both of us need to feel less sad. I'm a Jordanian writer currently serving as an editor for Rusted Radishes: Beirut Literary and Art Journal. I studied English literature, media communication studies and creative writing at the American University of Beirut. I often find myself exploring—and trying to make sense of—the spaces where art theory, urbanism, technology, and language overlap. 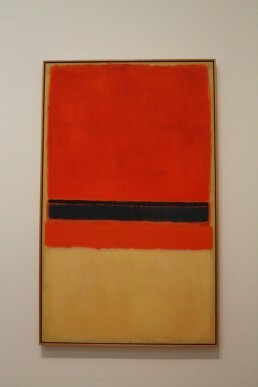 I have a soft spot for Mark Rothko.